We are hitting the road for the land of cheese! Our members will be loading the bus and leaving this Thursday morning, June 18, for Saengerfest, a competition, Swiss singing and yodeling festival being held June 18-21 in New Glarus, Wisconsin. We compete internationally every three years as part of the North American Swiss Singing Alliance (NASSA), made up of 14 choirs from Canada and the U.S. In the heart of Green County in Southern Wisconsin, New Glarus is known as “America’s Little Switzerland.” The village of more than 2,000 was founded in 1845 by immigrants. Thriving businesses in the community include a world-class brewery, an award-winning winery, authentic Swiss bakery, sausage makers and, of course, internationally renowned cheese makers. Find more information about the competition and festival at saengerfest2015.com. We have hosted five Saengerfests: 1901, 1924, 1962, 1982, and 2006. 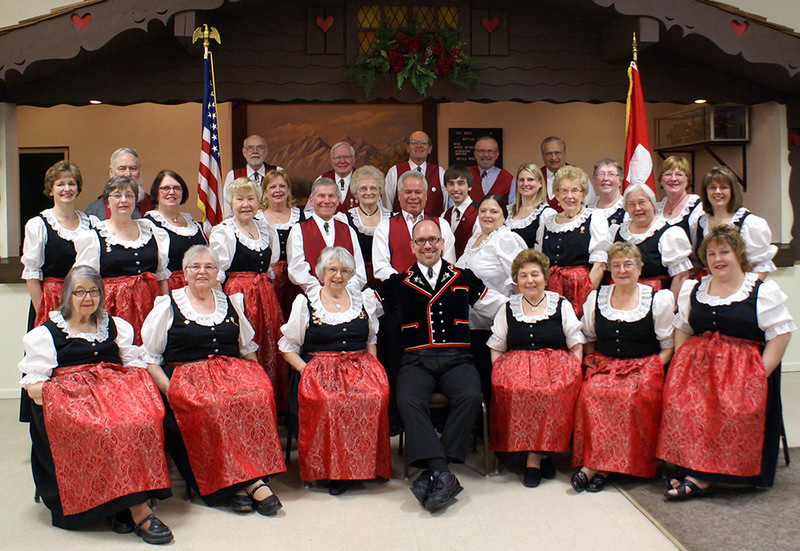 Under the direction of Micah Graber, the Swiss Singers have been a cultural staple in the Toledo area since 1869 — that’s 146 years of celebrating Swiss culture in the area. Starting first as a men’s choir, the chorus in its current form has been around since 1924. Our aim is to retain and preserve the culture and songs of Switzerland, to live up to the singers’ ancestors’ tenets of faith and behavior, help others, and to be good citizens.